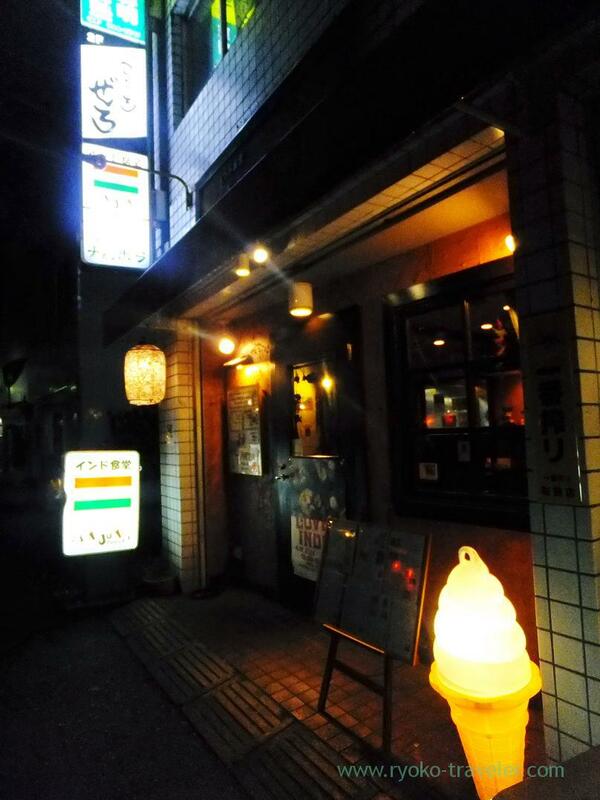 I wen to there by myself, I ordered a half dinner set B(ハーフディナーB, 1400 yen). The set had one curry and rice, salad, tandoori chicken and pickled vegetable. Anything could be chosen from all curries. At most of curry restaurant, we have to choose from Lamb, mutton, keema, chicken, vegetables, (saag) only. 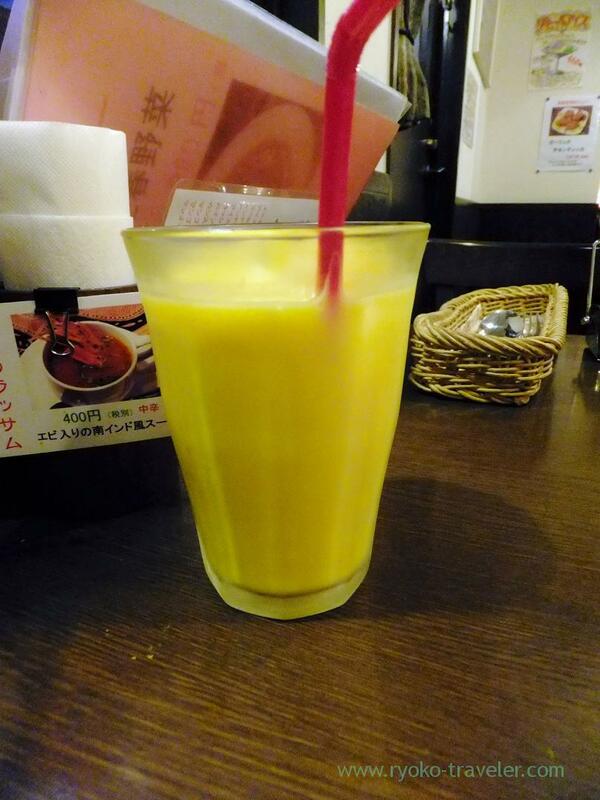 My drink was mango lassie (マンゴーラッシー, 600 yen). And rassam with shrimp (海老ラッサム, 400 yen). It’s not too much to say that I visited there for this rassam ! 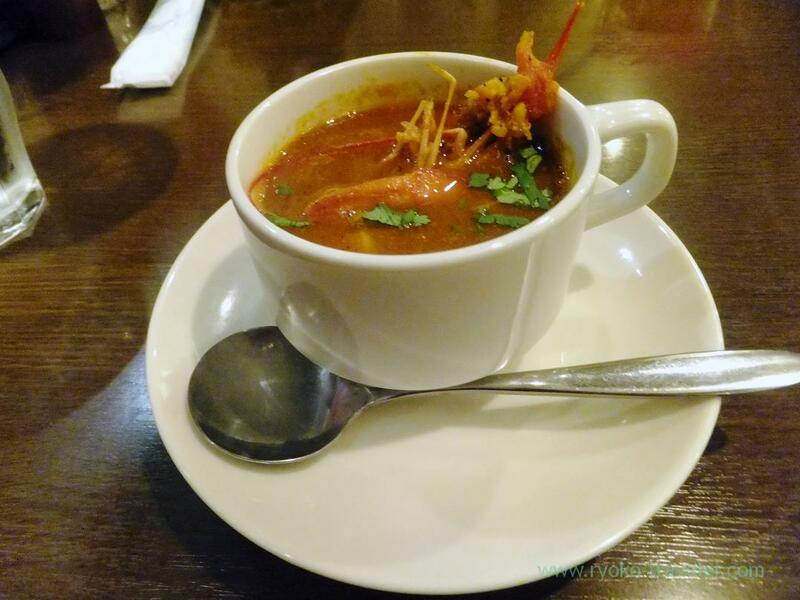 The spicy tomato soup was awesome.I ate it up.Of course, the shrimp, too ! 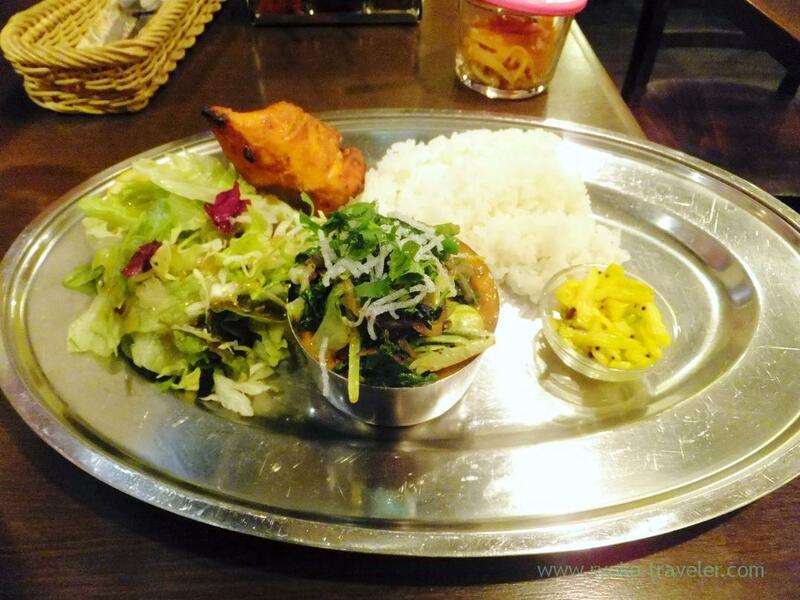 I chose Spring vegetables and Spanish mackerel curry that is served in Spring season only. My friend’s recommendation. 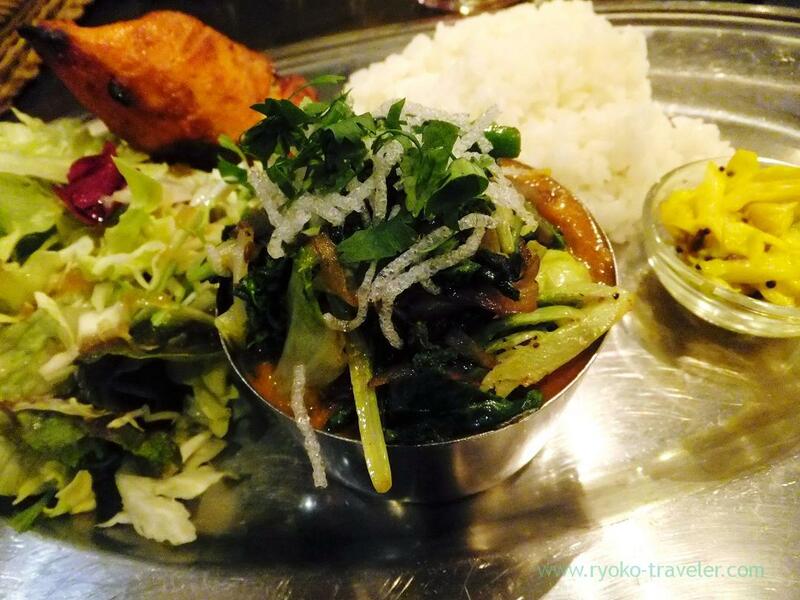 The curry can be seen because of much vegetables, but this is curry. Thick slices of Spanish mackerel were at the bottom. Not too spicy. They serve curry set at reasonable price, so it is good for my dinner. Funabashi : Wont' you have tea with Mona Lisa ?